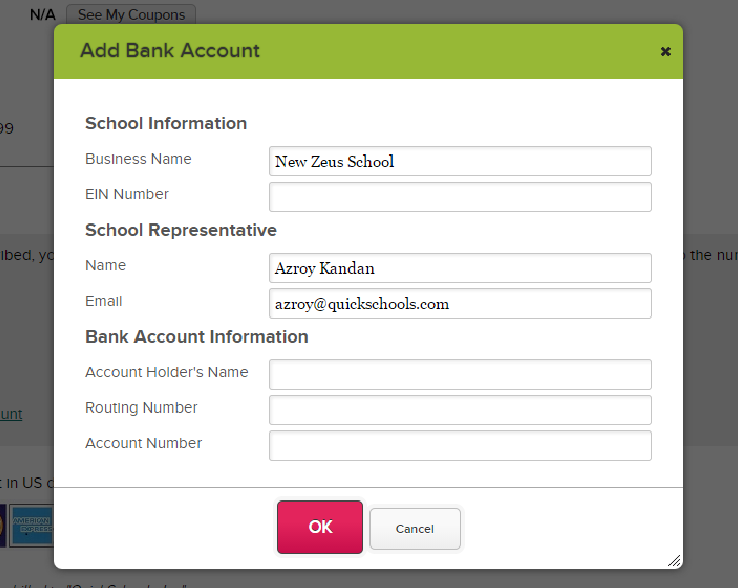 For those who would like to subscribe to QuickSchools via direct payments from your bank account (ACH), this option is now available. You may need to contact a Live Chat agent to turn this on for you. Basically, verification of Bank Accounts works similar to PayPal and other ACH merchant providers. 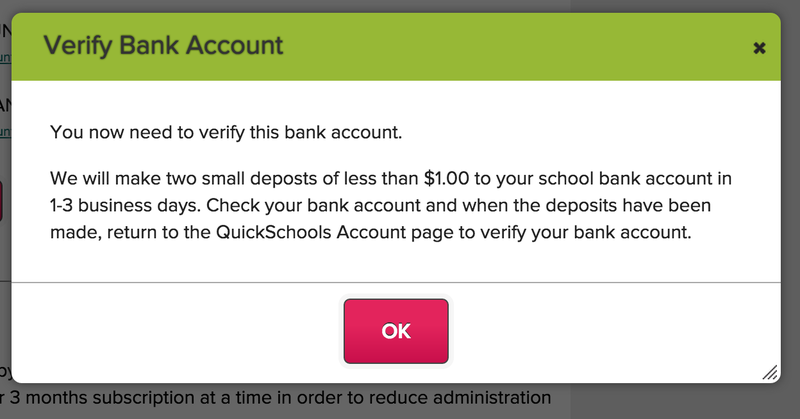 Two small payments will be deposited into your bank account, and you will be asked to verify these amounts before we can deduct payments from your bank account. 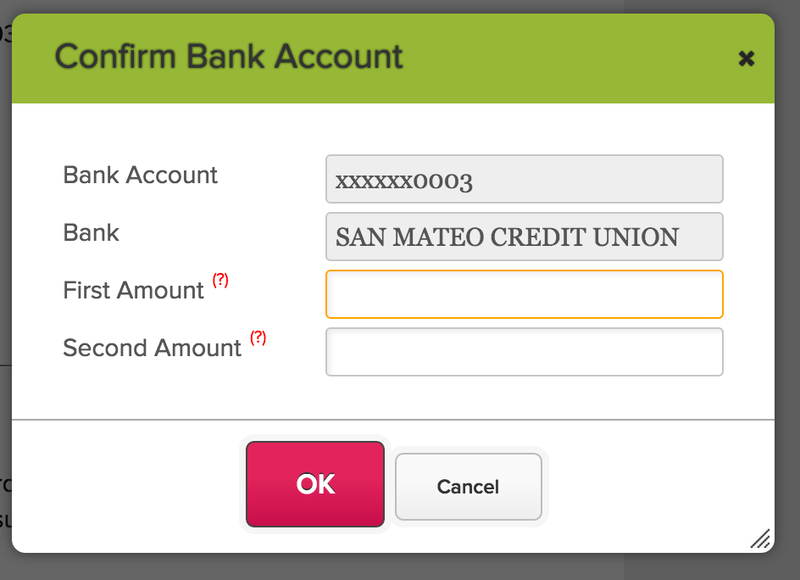 If you have any problems setting up Bank Payments, please don’t hesitate to contact our support team.